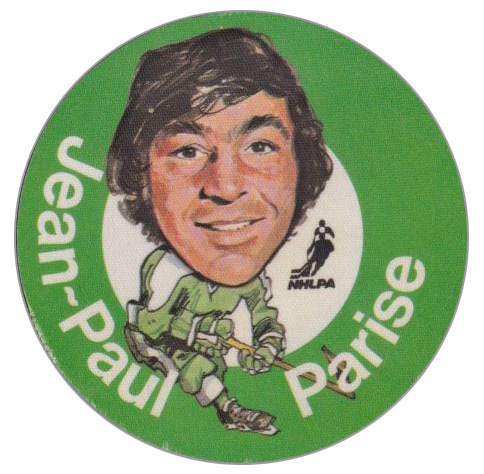 Jean-Paul “J.P.” Parise passed away on Wednesday at the age of 73 after a year-long battle with lung cancer. It’s always tough to see one of our hockey heroes pass away, and though I never saw Parise play, I admired him. 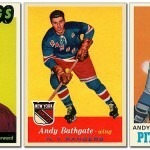 He had a steady, 12-year career in the NHL, reaching the 20-goal mark seven times. 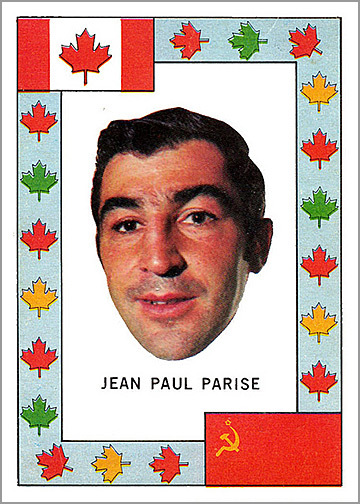 Parise also represented Canada in the 1972 Summit Series against the Soviet Union. He reached the 20-goal plateau seven times. 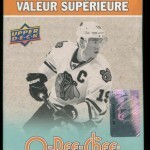 Here is a look back at his career achievements as a player, illustrated with his hockey cards. 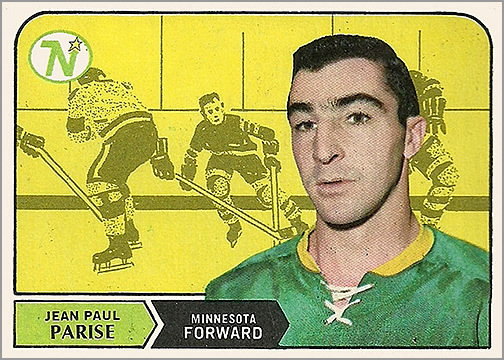 1965-66 – Parise played 3 games with the Boston Bruins. 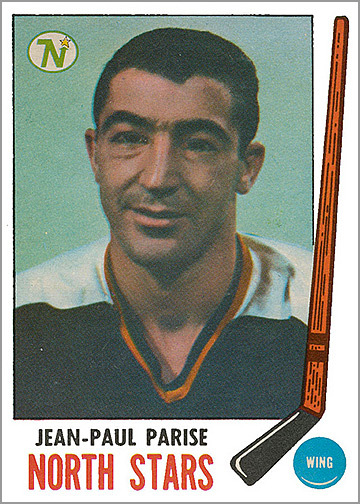 1966-67 – Parise played 18 games with the Boston Bruins. 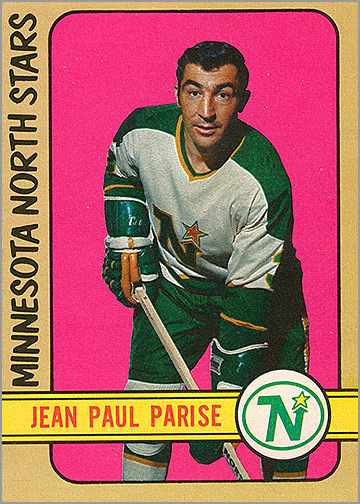 1967-68 – Parise played one game for the Toronto Maple Leafs, then was traded to the Minnesota North Stars, where he spent most of his career. He’d finish the season with 28 points in 44 games. 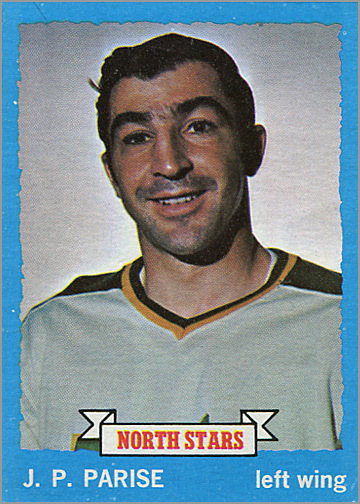 1968-69 O-Pee-Chee (Rookie Card) – In his second full NHL season, Parise got a rookie card. He also scored 22 goals. 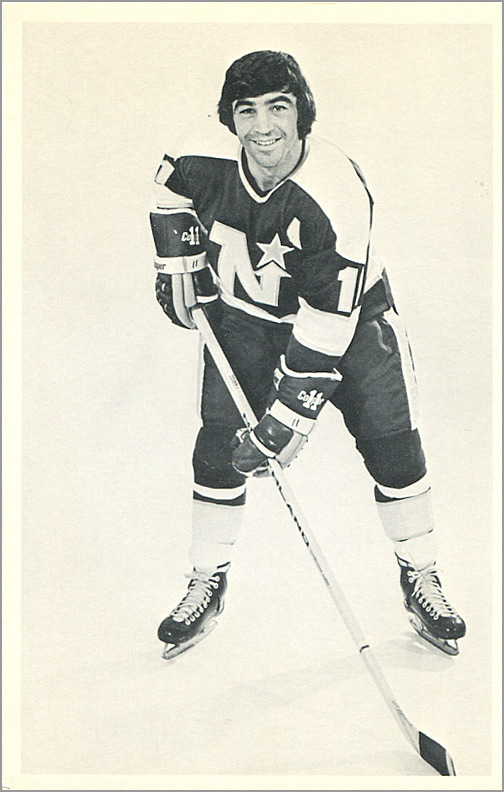 1969-70 O-Pee-Chee – Parise played in the NHL All-Star Game in 1970. He scored 72 points (24 goals, 48 assists) in 74 games that season. 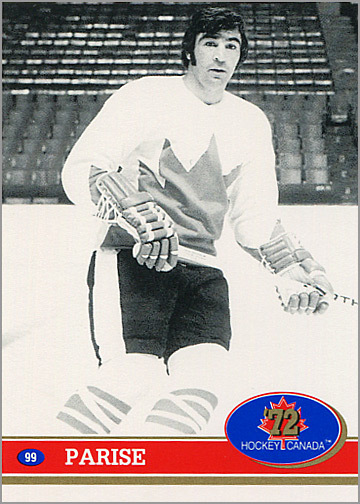 1972-73 O-Pee-Chee Team Canada Inserts (left) & 1992 Future Trends Canada ’72 (right) – Parise played six games with Team Canada in the 1972 Summit Series, netting two goals and two assists. 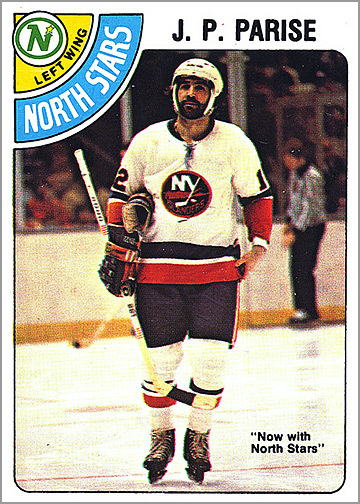 1972-73 O-Pee-Chee – This was J.P.’s best season. He scored 27 goals and 48 assists for 75 points, and played in the NHL All-Star Game for a second time. 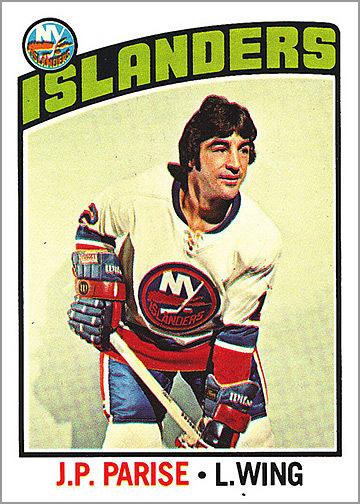 1974-75 O-Pee-Chee – Parise was traded to the New York Islanders midway through the 1974-75 season. 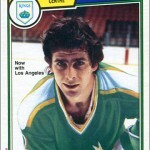 Overall, he scored 23 goals and 32 assists in 79 games. 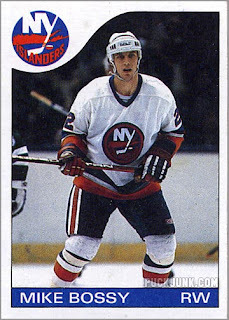 1975-76 O-Pee-Chee – In his first full season with the Islanders, Parise put up a respectable 57 points (22 goals, 35 assists) in 80 games. 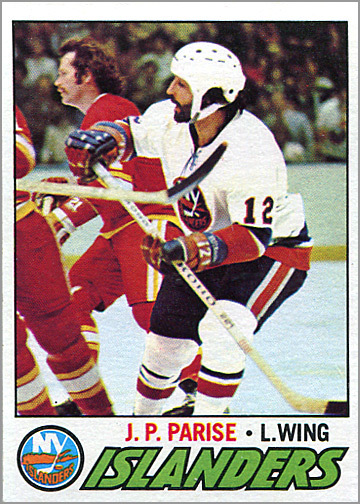 1977-78 Topps – Parise was traded to the Cleveland Barons. This would be the seventh and last time he’d reach the 20-goal mark, as he scored 21 times between Cleveland and New York. Note that this was one of the first vintage cards I ever bought; I paid 50 cents for it via mail order back in 1989. 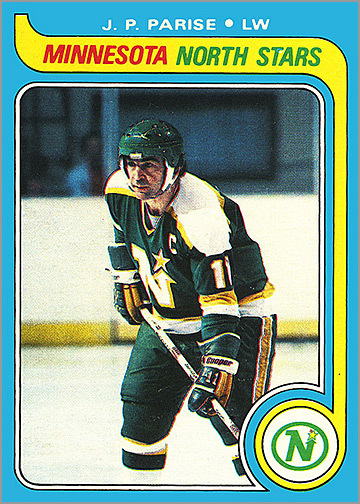 1979-80 O-Pee-Chee – Parise was retired when this card came out. 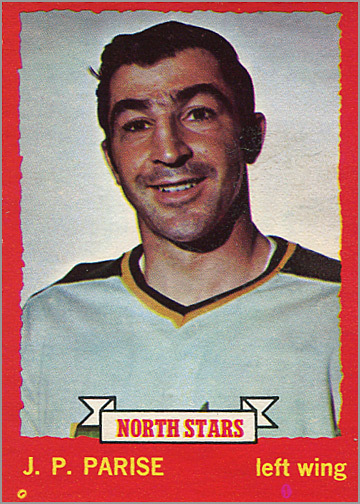 Still, it’s pretty cool, as it shows him as team captain of the North Stars. 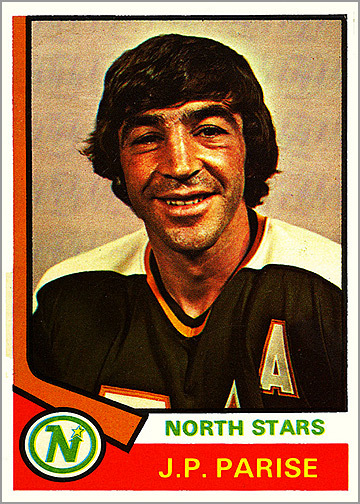 After he retired, Parise coached as an assistant with the North Stars and a head coach in the minors during the 1980s. 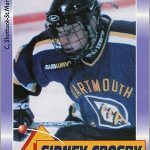 He later served as coach and hockey director at Shattuck-St. Mary’s, coaching some of today’s current stars, including Sidney Crosby, Jonathan Toews, and his son, Zach Parise. Nice tribute to JP . If you want to call a true Mr. Islander you can put JP in that title on him . He really put the Islanders on the map with that 11 second OT goal against the rival Rangers. Boy! JP we’ll miss you RIP. As for his son(Zack) he will become someday Mr. Wild wait and see. The baton will now be passed. Nice posting Sal. 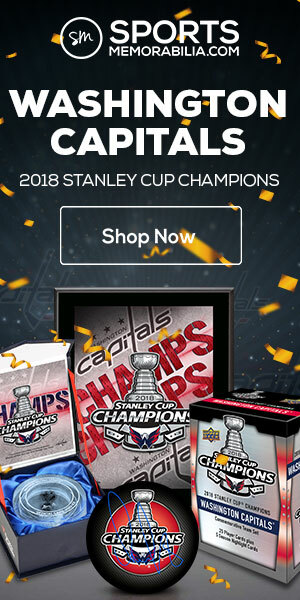 A couple of things that I found out this past week regarding J.P.’s hockey career. 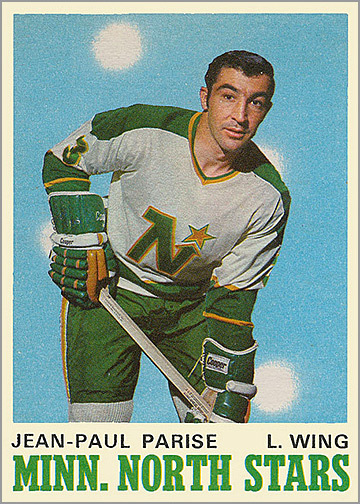 First that he was taken in the 1967 expansion draft by Oakland. 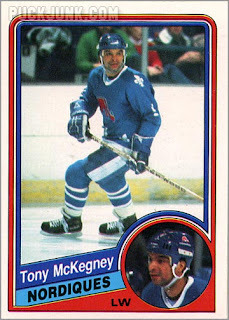 Second that he played 1 game for the Maple Leafs just as a replacement for an injured player. This further shows how mismanaged both teams were at the time as they did not recognize J.P.’s talent and keep him. 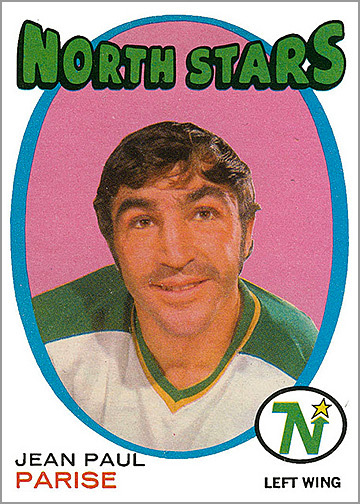 In the early ’70s, living in Vancouver, I was obviously not a Minnesota fan, but I was aware of JP’s talents on that team. 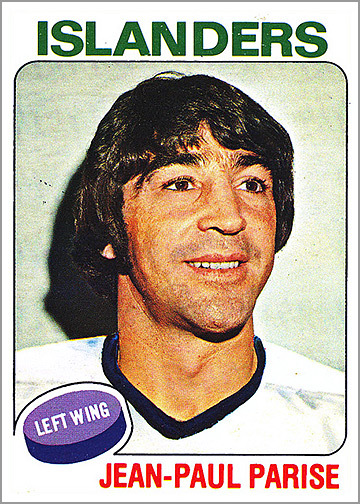 His inclusion on Team Canada in 1972 was obviously what we would categorize today as “a no-brainer”. 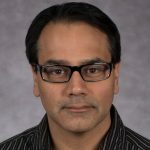 My favourite memory of him is from Game 8 of that series: his reaction to the incompetent officiating by Josef Kompalla, a Soviet-friendly referee who had, in the first four minutes of the game, called two questionable penalties against Team Canada, and who had the nerve to make a third call against Parise for interference. “Less than a minute later, Kompalla was at it again. At 4:10 J.P. Parise was given a minor penalty that was even more questionable than the others. Parise became enraged, slamming his stick on the ice so that it splintered while he yelled obscenities. Kompalla added a 10-minute misconduct on top of the two-minute minor. JP’s actions did little to hurt Team Canada; if anything, it demonstrated the team’s frustration with the situation at hand (the attempt by the Soviets to control the refereeing of the game); once that occurred, the officiating mysteriously improved and Team Canada was able to concentrate on playing hockey. Glenn, thanks for sharing your memories of J.P., as well as the story from the Summit Series. 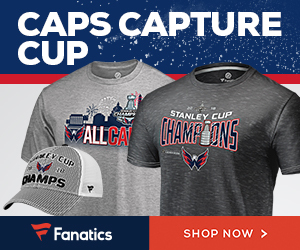 Next Next post: What’s That Song in the 2015 NHL All-Star Game Commercial?